Are you aware of the unique options available to nonprofit organizations? Your nonprofit, tax-exempt organization is different. We get it. You have a mission to pursue, and our attorneys can assist you with the host of issues and opportunities unique to your organization’s nonprofit status. Benefits – With expertise in shaping a variety of employee benefit plans, we can help you design a custom plan that may assist in recruiting the best and brightest to your organization. Compensation – Compensation plans for nonprofit leaders are often quite different from their corporate counterparts. We understand the differences and know how your organization and mission can benefit from having the right leadership and compensation plans in place. 403(b) plans – Retirement planning is important to your employees and recruits. We can assist you with establishing and maintaining these tax-sheltered annuities, providing your employees with opportunities to invest in their future. We can also assist with designing employer-matching features and work with your insurance providers to arrive at creative solutions to maximize your investments. 457 plans – Implementing a 457 deferred compensation plan can be tricky. We can help you work with eligible and ineligible plans, to ultimately shape a deferred compensation vehicle for your employees that is creative and compliant. Church plans – Churches and church-affiliated schools, hospitals, and agencies are a unique group within the nonprofit world. Our previous work with clients in this arena – and the resulting extensive understanding of how church plan rules operate – can be of particular benefit to you and your organization as you design your benefit plans. 403(b) plans – Plans designed for certain employees of public schools, employees of certain tax-exempt organizations, and certain ministers. 457 plans – Plans designed for certain state and local governments and non-governmental entities exempt from tax under IRC 501. Eligible plans are 457(b) plans and ineligible plans are 457(f). We wrote the book on it! 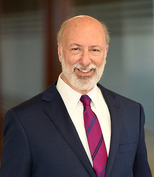 Daniel Schwartz has co-authored a BNA portfolio (The Bureau of National Affairs, Inc.) on employee benefits for tax-exempt organizations and an article on Section 457 plans, used by attorneys across the country.